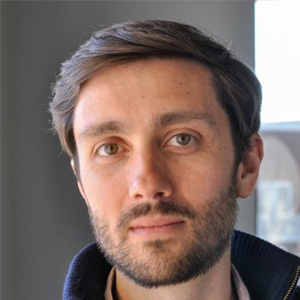 Charlie Coglianese is the Founder & CEO of Schoolrunner headquartered in Denver, CO. Follow them on Facebook and Twitter and learn more at schoolrunner.org. Schoolrunner is a Software-as-a-Service (SaaS) education technology startup that supports K-12 schools and teachers to improve student outcomes using data. Our core product is a comprehensive system for teachers that brings data and analytics into their daily practice, but our mission is simple: Help teachers help kids. We hope to do this by simplifying a teacher’s day-to-day and offering them professional tools to drive their students forward. I first starting building Schoolrunner to help out a friend of mine who had recently founded a school in New Orleans in the wake of hurricane Katrina. His school had tons of data but was starving for actionable information. Despite their best efforts, they couldn’t find a single place to house all their data, much less a system that could help them make sense of it all. My background is in computer science and I had lots of experience in crunching big sets of data for hedge funds so I got to work building them a tool and soon after we had Schoolrunner! Innovation in technology has been slow to spread through education and teachers often are required to do tasks that technology has otherwise replaced in other industries. We ask them to do so much that we are losing them earlier and earlier to burnout or to other professions. At Schoolrunner we hope to give them back one of their most precious resources: time. They can spend this time educating, inspiring, and innovating for their students. And with the insight they get from Schoolrunner, we hope that this time is even more impactful on student achievement. I am constantly inspired by the work of the schools we partner with. They work so hard every day and do an amazing job to help kids from low-income backgrounds get to and through college. The difference in opportunity between people with and without college degrees keeps growing so education really is a chance to change a life. I would love to impact one million students a year. We’re not there yet, but the more we can help the adults in schools do their best for kids, the better. There are so many great people who choose to devote their lives to educating kids but sadly we don’t give them our best tools to allow them to do their best work. I’d like to change that. One change I’ve seen over the last 10 years or so is that people are looking for work that’s more than just a paycheck or some nice perks. People want to do something for work that has a mission or purpose beyond just making money. That’s allowed us to hire some really great people and continues to inspire me about our future. There are so many demands and pressures on schools. From government mandates to the needs of parents to new educational philosophies being dropped into schools from on high, it’s easy for school leaders to be overwhelmed. I think schools need the autonomy to make decisions and changes that best fit the needs of their students, but our current system doesn’t always allow for that. Find someone who’s out there on the front lines making an impact and ask what they need to be able to do it better. I started Schoolrunner because a high school principal friend of mine called to ask, “How can I get teachers to use data to make better decisions for kids?” I said I didn’t know but I’d help him figure it out. After working with his team for six months I saw plenty of people trying to do the right thing but just lacking some simple tools to make their jobs easier. Get involved in education issues in your local area. So much of education policy and practice is defined by local control which means there can be huge disparities across the country. Funding formulas, teacher pay, accountability, and other structures can lead to major equity issues even within a single district.